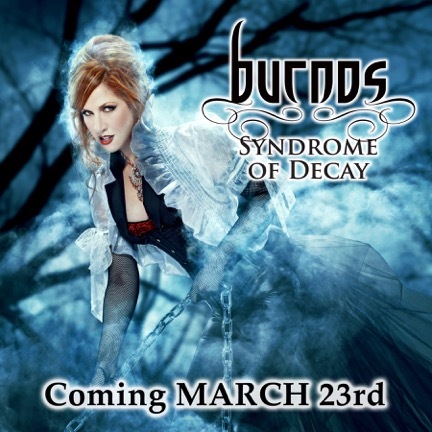 blasted earbuds because we are introducing new music from BURNOS’ Syndrome of Decay! Their previous released single ‘Warship’ already caught a hold of the SXM Octane’s top 15 Countown in May of 2014 and soon following lead singer Melissa Burnos was prominently featured during ‘Women Who Rock week’. And adding to their Skyrocketing momentum the song ‘Warship’ was used as Texas Ranger, Chris Gimenez as his walkout song! The band Consit of rockers Melissa Burnos -on Lead Vocals, Eric Friedman on Guitars, and Garrett Whitlock on Drums and produced by Michael “Elvis” Baskette (behind Alter Bridge and Chevelle). And recently CBS Miami featured vocalist (Melissa) as ‘one of the Best Rising Stars of South Florida’! This entry was posted in Past Authors and tagged burnos, syndrome of decay. Bookmark the permalink.